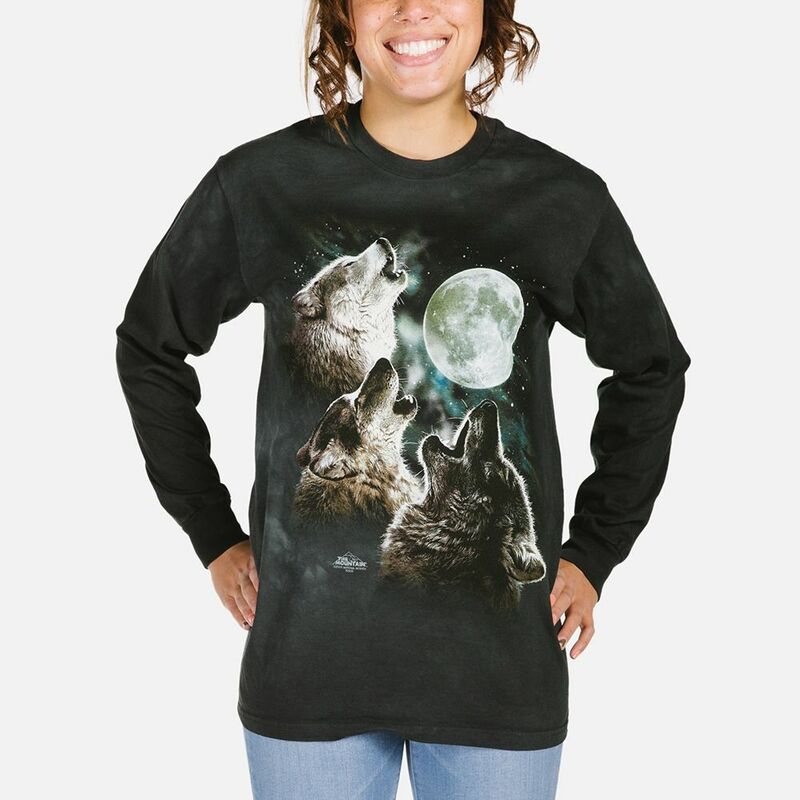 This unisex long sleeve t-shirt from The Mountain® features three wolves barking at a full moon. All adult shirts are pre-washed and pre-shrunk. 1 x 1 ribbed cuffs, and relaxed hem line with double stitching on all seams. I have had a lot of The Mountain t-shirts over the last 12 years. They are hard wearing wash and tumble dry well. They are probably the best t-shirts I have ever had, but I have always bought them in the USA. 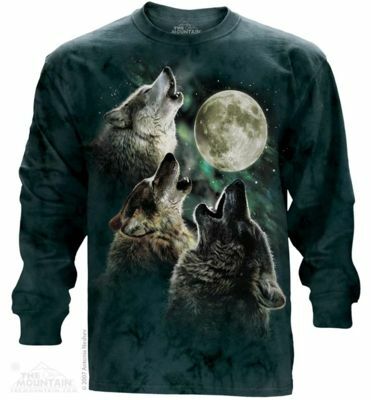 Great to find a supplier in the UK this is the first long sleeve t-shirt that I have bought but its quality definitely matched all the other t-shirts I have got. Very pleased with it.